What contributes to your buying decision when shopping online on Amazon? I am fairly certain it does have something to do with the product description and product reviews. For me, this is the case, especially if am purchasing a high-value item. I want detailed content. I want to read the reviews and get a feeling of the product. I bet you too! You want all the product features highlighted. More is more in this case. Enter Enhanced Brand Content; a brilliant way to help clinch the deal with customers who want more info than the standard product descriptions. What is Amazon EBC? 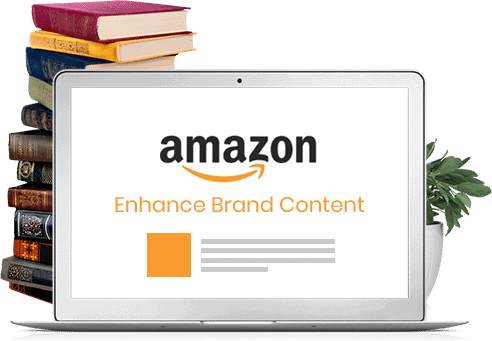 Amazon Enhanced Brand Content allows brand registered sellers to showcase their listings through enhanced images and text placements. Perhaps you are familiar with Amazon A+ content, or maybe you even used this so as to gain access to content-rich product listings. That is because before EBC became available on Seller Central, it was accessible on Vendor Central. This premium paid service was called A+ content. On the Vendor side, Amazon A plus content has proved extremely productive. Therefore, it can exert a similar effect on the 3P side. Used effectively, it can lead to increased traffic, optimization of conversion rates and a boost in sales. You can register multiple brands on a single 3P Seller Central account. The EBC tool is available to Brand Registered 3P Amazon Sellers only. The content you generate for your product listings has no SEO advantage. It’s still evolving. More changes and marked improvements are expected. E.g. recently a video feature was added, though it is still in beta mode. Or another prime example is the recent requirement of image keywords aka alt-text which now offers SEO value. Approval takes long. It takes up to 7 days. If you have to resubmit for approval, then it could take weeks. Due to their similar objectives, it is understandable that there is some confusion between the two platforms. EBC is sorely for third-party brand registered owners on Seller Central while A+ Content is available on Vendor Central for Amazon Vendors. The design options are equally different. While EBC Amazon has 5 seller modules, A Plus Content Amazon has 12 different modules (basic). 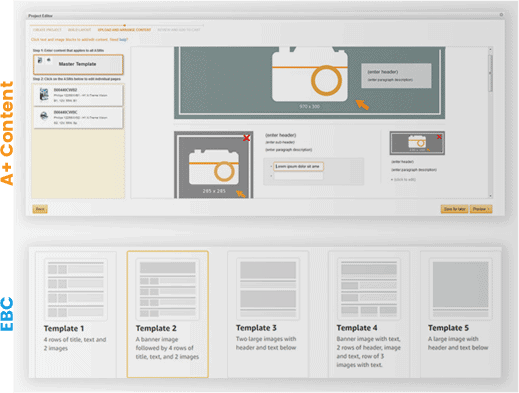 Enhanced Brand Content service modules look quite similar to premium A+ content templates. Please note that the first two modules on each template have to be populated with a brand logo and a brief product description. Tulip - 4 rows of title, text and two images. Orchid- Banner Image, 4 rows of title, text and 2 images. Sunflower- two large images with header and text below. Rose- Banner image with text, 2 rows of header and text below. If you haven't already done so, please register your brand with Amazon Brand Registry. Then, log into Seller Central. Click ‘Inventory’. Click ‘Manage Inventory’. Select the product you want. Find and copy the Stock Keeping Unit (SKU). Click ‘Advertising’ then press the ‘Enhanced Brand Content’ tab. Paste the SKU under ‘Create an EBC Detail Page’. Click ‘Get Started’. 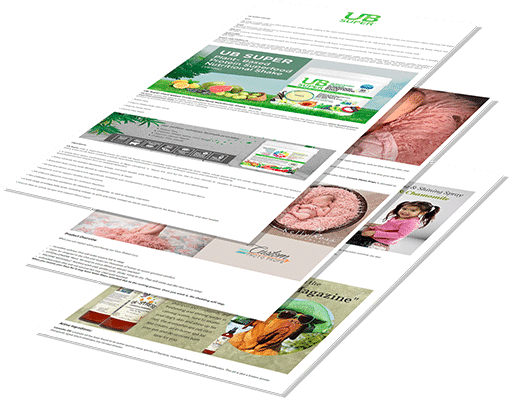 Input your high-res images and product copy. Highlight your products USP from a fresh perspective. Preview your EBC and submit. EBC content is not checked by machines. There are real human beings checking the submitted content. This means the checks are meticulous. The rules are actively enforced and content rejection is high. Please ensure you follow the terms, policies, and guidelines specified by Amazon. Failure will lead to violations, which will in turn translate to your listings being rejected. Below are some Tips, Do’s and Don’ts. Don’t waste time creating content for low-value items.Determine which ASINs need enhanced content. Choose your template according to the additional images you have. Use each section for just 1 thing. Use colors, fonts and graphics styles that are similar to your brand for consistency. Go through the Q&A section of your listings and edit your EBC in a way that provides the answers. Fill in the long form description, even though it doesn't appear on the customer's side. This is because while EBC is not indexed in searches,the description is. Note what your competitors are not doing, then do it. Pay attention to how much text you use. Space is limited, so prioritize. Cover FAQ’s to prevent returns and loss of sales. Arrange your content logically. Take customers through a journey. Address issues that your disgruntled customers are not happy with. Seek inspiration from your competitors but by all means, keep your copy authentic and true to your brand. Write for SEO or keyword ranking. Merely duplicate what you had stated in your product title and description. Use original content. Reference your company as ‘Seller’ or ‘Distributor’, or provide contact info. Mention your competitor's products or seller authorizations e.g. ‘Sold by authorized resellers’. Include price or promotional info. Use copyright, trademarks or registered symbols that you don’t own. Include shipping details e.g. ‘Free shipping’ or ‘Shipping timelines’. Make bragging comments like ‘#1 selling product’. Use time-sensitive product info e.g. ‘On sale now’. Include customer reviews from either Amazon or elsewhere. Add additional or third-party quotes from outside sources. Include any warranties or guarantees. Use anything that mimics the Amazon logo. Employ the use of other organization brands or logos or several brand logos on one image. Include web links redirecting to other sites (inside or outside Amazon). Make punctuation or grammatical errors, misspellings or all-caps text. 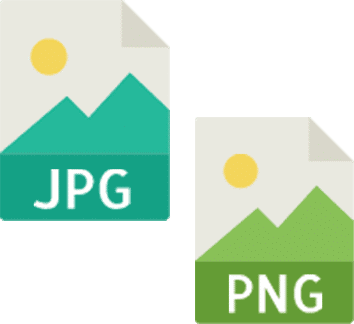 EBC works well with JPEG and PNG files. Images will roughly look the same as Amazon’s algorithm doesn't compress them much. This list is not exhaustive and Amazon might add new rules. Therefore it is advisable that at the time of submission you read through the latest rules. Please ensure you are up-to-date with any changes thereof. You can find the full set of rules on Seller Central. What are the Benefits of Using EBC? It increases customer engagement rate. People’s attention span is the length of a goldfish, just a mere 8 seconds and they move on to the next shiny object. The added visuals provide an emotional connecting factor. Gives you spare room for product features. You can exploit this to focus on any objections or common questions that customers have raised. You can also highlight your products’ USP. It provides you with broader creative latitude. You can literally show off with more pictures and videos such that you stand out especially in niches where competition is very stiff. It increases brand value and assurance. Customers experience a more delightful sense of what your brand stands for. They are more likely to buy from a brand they have developed a liking and trust for. Higher conversion rates. Again Amazon A plus pages were remarkably effective. It stands to reason that improved listings (EBC) equal more sales and profits. Amazon says it leads to a 5% increase in conversions. It helps boost ROIs. If you have products running paid ads, EBC Amazon can be an added bonus. Capitalize on this advantage to increase the order session percentage. The chances of your products being returned are radically reduced. If you provide all the relevant details, then a customer knows what to expect and is less likely to return for a refund or a negative review. How do I know if EBC is Right for my Product? While you have no limit to the number of EBC product detail pages you can have, it doesn’t mean that EBC is a one size fits all. Will you be able to recoup the cost of creating the design from the profits you expect to make? How complicated is your product? Does it have many features and functions that cannot be conveyed efficiently with bullet points and descriptions? Does your product category crave a better listing? How intense is the competition? Do competitive products already have Enhanced Brand Content? Even if they don't, and it’s a way to differentiate your page and increase revenue, doesn't it make sense to use EBC? Do not rationalize that Amazon EBC doesn’t index keywords and dismiss this platform. People are visual. It could mean the difference between closing a sale and losing one. When you search for Amazon products on mobile phone, enhanced brand content is the first thing that pops up. I know I would rather be greeted with attractive EBC as opposed to bullets and descriptions! Enhanced brand content benefits both the Seller and the buyer. As a Seller, you have the opportunity to develop your brand story and give more product information. As a buyer, surfing Amazon pages is almost like looking through pages of a catalog. It makes for a more pleasurable buying experience. What's not to like? Do you require Help with Enhancing your Listing? 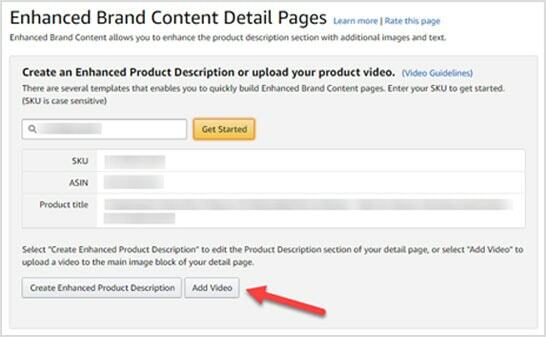 Have you already started using Amazon’s enhanced brand content? Or do you feel overwhelmed at the prospect? Does your detail page need refurbishing with EBC services? Amazon’s marketplace is dynamic. Additions and changes are constantly happening. You have enough on your plate as it is without having to figure out this ever-evolving marketplace. 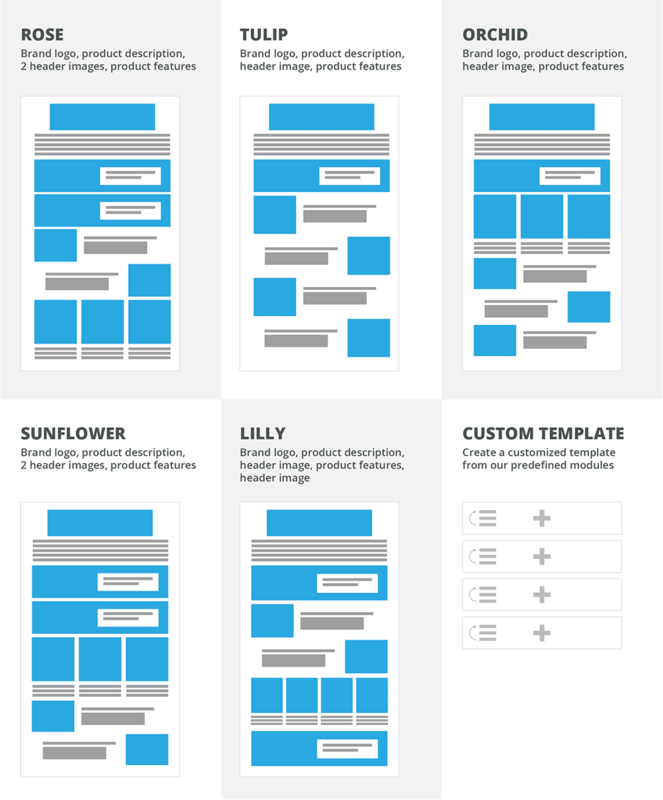 We will help you optimize your detail pages for maximum performance. Promptly hire us and save time and money to get the most of this exciting and enticing feature!